Rope Services Direct is the place to find twine and cords of all types, including our tough, reliable polypropylene twine. This man-made material is fit for a range of tasks and will not succumb to the elements as quickly as our natural fibre ropes. 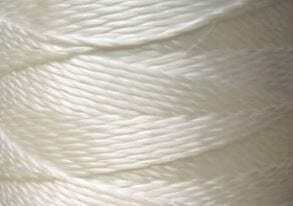 The polypropylene twine we sell is made up of interwoven strands of this synthetic material. 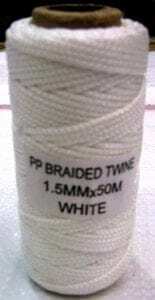 It is thinner than polypropylene cord and so is a little less strong when used individually. Of course by wrapping twine around several times, you can achieve higher levels of sturdiness, so it is very versatile. Polypropylene is extremely resilient, and is able to stand high temperature applications. It will also remain unscathed if it is exposed to moisture, chemicals and other substances that can quickly compromise natural fibre twine. If you want to secure something for outdoor use, it will be a good choice. This type of twine has the added benefit of being smooth, consistent and easy to handle, so you can cut it to any length you require. Whether you are looking for polypropylene twine for domestic use, or to deploy in a commercial setting, we stock cost effective options for every scenario. Just make sure to use it safely in outdoor environments. You can ask us anything about polypropylene twine by calling 01384 78004 or emailing our team using the rapid response form on our site. If you need further advice on how to use it, or help with choosing a rope product, we are here to assist you. Polypropylene Twine Overall rating: 5 out of 5 based on 6 reviews.